becoming a Close To My Heart consultant? If you have, here's something you may want to know. Today, I learned that CTMH will be offering a FREE Cricut Art Philosophy Collection to all those who become a CTMH consultant during March! That's simply an A-M-A-Z-I-N-G offer that retails for $99, but is worth about $125! The collection’s retail price of $99 adds incredible value to the New Consultant Kit and will give you hours of creative fun. 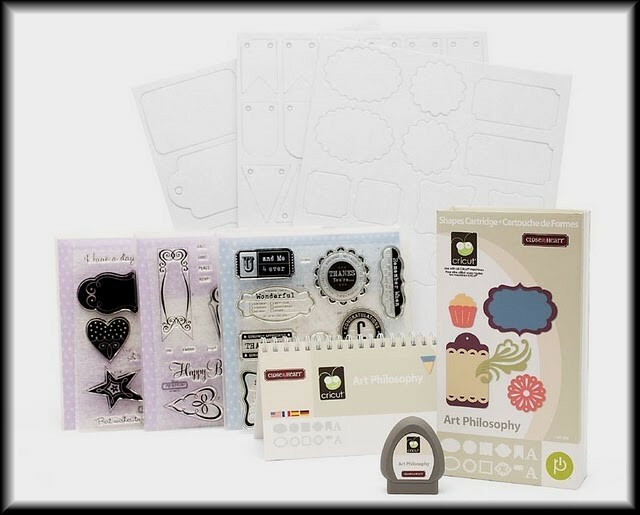 It includes our exclusive Cricut® cartridge, three coordinating My Acrylix® D-size stamp sets, and three sheets of matching Dimensional Elements shapes. Do you already own the collection? Not a problem. You can either use it as a give away, say to your new business grand opening, or give it to someone as a gift (they'll love you forever) or you can choose to receive $100 in select product credit instead. Aaaahhhhh....$100 to spend on paper, ribbon and inks, oh my! Doesn't that get your mind going? It would mine. 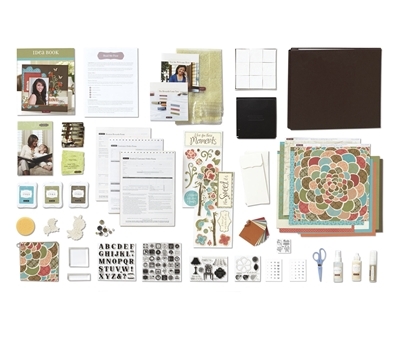 The New Consultant Kit is $99 and is normally worth about $285 in business and creative supplies, but with this limited-time offer, it will be worth just over $400 with the addition of the FREE Cricut® Art Philosophy Collection! I wrote a post last year about how joining Close To My Heart has helped me recover from depression and boost my creative mojo. If you would like to read about it, you can here. If you would like more information on becoming a Close To My Heart consultant, including answers to some common questions, you can check out the "Join My Team" tab at the top of the page, or click here. If you have ANY questions or concerns, please don't hesitate to contact me. And if you would like to join my team in March, you can simply go to my website to sign up. Check out the following video where CTMH's super talented (and gut-busting funny) Vice President, Kristine Widtfeldt provides shares the exciting news. Remember this offer is only available March 1-31, 2012. And there is no additional tax charged on the Cricut® collection when ordered during your enrollment. I know I've been absent for a little while. I just finished up science fair this past weekend and have some workshops to prepare for over the next few days. Of course, we've also had some health issues in the family (as I shared in a previous post). At any rate, I'm hoping to post my creations this weekend, but I'll definitely be back for the next Stamp of the Month Blog Hop on March 1st.